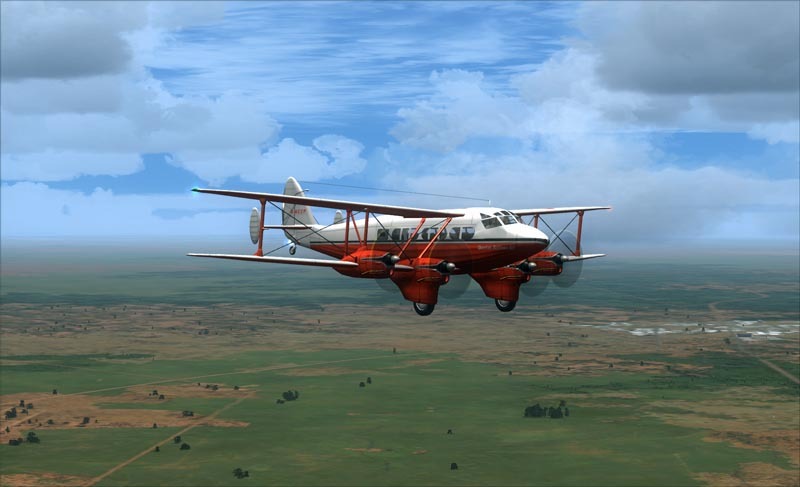 The de Havilland Express was a four-engined passenger aircraft from the 1930s manufactured by the de Havilland Aircraft Company. During 1933, talks between the governments of United Kingdom, India, Malaya, the Straits Settlements and Australia resulted in an agreement to establish an Empire Air Mail Service. The Australian Government called for tenders on 22 September 1933 for the Singapore-Australia legs of the route, continuing as far south as Tasmania. 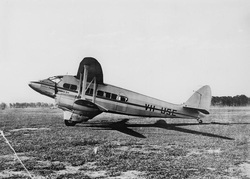 On the following day Qantas, anticipating success in contracting for the Singapore-Brisbane leg, placed an order with de Havilland for an as-yet non-existent aircraft to be designated the de Havilland 86, the prototype to fly by the end of January 1934. This order was soon followed by one from Holyman's Airways of Launceston, Tasmania to operate the Bass Strait leg of the service. The D.H.86 was initially styled the Express or Express Air Liner although the name was soon discontinued. D.H.86s were also built for New Zealand's Union Airways, flying between Auckland, Palmerston North and Wellington. During World War II, the New Zealand aircraft were fitted with bomb racks and used by the Royal New Zealand Air Force to hunt German raiders and Japanese shipping. The survivors served with NAC post war.